I f an apocalyptic meltdown of the national umbrella of the United Church does occur – as some predict – what will be the last things standing? The Pension Fund (I hope); the Standard Salary Schedule; our penchant for meetings? A friend casually remarked that the roots of the system upon which ours is based actually reach back before the time of the telephone. Historically meetings have served many purposes – information sharing, an excuse to socialize and organize and, occasionally, to make or (double) check decisions. Al Pittampalli’s e-book, Read This Before Our Next Meeting probes the role of the much maligned meeting in this postmodern time. 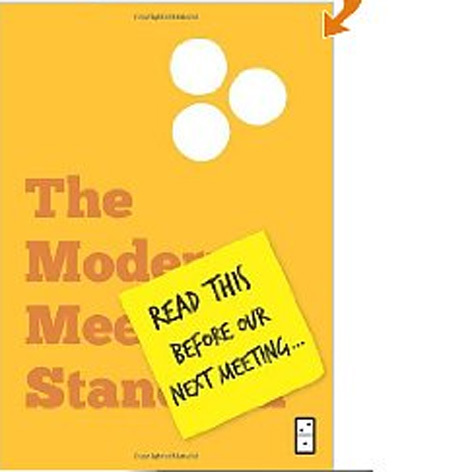 (And in this the subtitle perhaps misleads – “the modern meeting standard for successful organizations.”) He seeks to redefine the purpose and style of meetings. Seven principles define his understanding. From a church point of view, a helpful contribution of Pittampalli is his identification of how poor meetings not only are a leadership and management issue but a spiritual one. Bad meetings corrode the spirit. Worse, mediocre meetings create a culture of compromise and kill any sense of urgency. Viewed positively, these may have been the original purpose behind meetings – compromise and a sense of sober deliberation – but the shadow side proves devastating in truly urgent times. In too many cases, meetings have become a way of diluting urgency or deflecting hard decisions so, as in the church, even though we can see marks of the future clearly on the horizon, we seem unable to make the necessary decisions. At their best, effective meetings help an organization move forward. When that fails to happen, hope begins to rust and discouragement, if not despair, takes root. Pittampalli contends that meetings are for making and defending strong decisions. The brevity of the book means reading is not difficult; however, for those of us in the church too many of his insights ring too true and it may require therapy to deal with all the memories of boring, ineffective, spirit sapping and ultimately expensive meetings we have been required to endure. If you have an e-reader the book is worth a download. In the end though it reflects the general shape of postmodern leadership. Effective leaders spend much of their time thinking “up front,” deliberating about outcomes and strategy rather than just simply resorting to old patterns whether it comes to dealing with information, making decisions, or calling meetings.